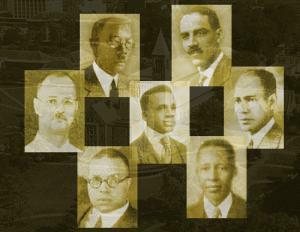 Fraternity History - Alpha Phi Alpha Fraternity Inc.
Alpha Phi Alpha chapters were developed at other colleges and universities, many of them historically black institutions, soon after the founding at Cornell. While continuing to stress academic excellence among its members, Alpha also recognized the need to help correct the educational, economic, political, and social injustices faced by African-Americans. Alpha Phi Alpha has long stood at the forefront of the African-American community’s fight for civil rights through leaders such as: W.E.B. DuBois, Adam Clayton Powell, Jr., Edward Brooke, Martin Luther King, Jr., Thurgood Marshall, Andrew Young, William Gray, Paul Robeson, and many others.